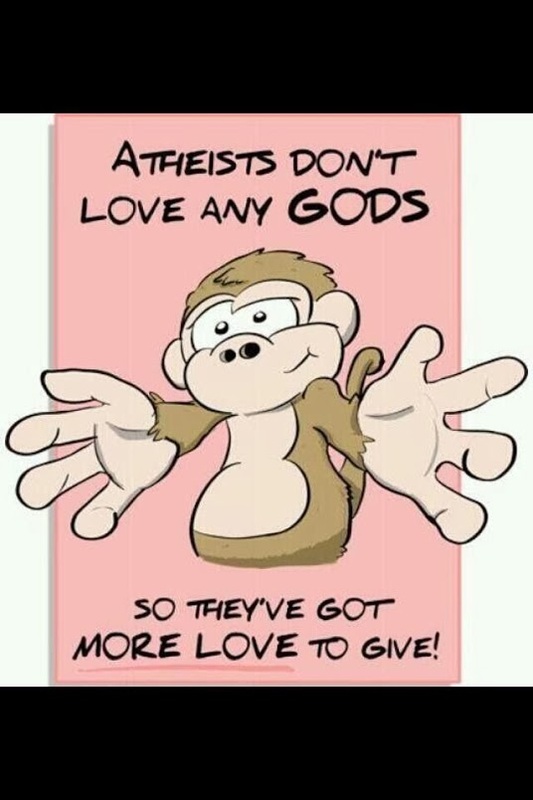 Hmmm…before my wanderings into atheist Internet communities, I’d never heard the notion that loving God means I have less love to give others. I love God, so I need to be more loving to homosexual people. That means speaking up whenever they are mocked, denigrated or unjustly criticized. I love God, so I need to be more loving to homeless people. I love God, so I need to be more loving to people who are arrogant and pretentious. I love God, so I need to be more loving toward people whose political views are diametrically opposite to mine. That means respecting and defending the values of democracy. I love God, so I need to be more loving to Jewish people, Muslim people, Buddhist people and Hindu people. That means defending their right to worship without fear. I love God, so I need to be more loving to atheist people. That means protecting their right to be atheists. I love God, so I need to be more loving to people who oppose and mock or denigrate my Christian faith. Serious Christians like me understand that we’ve been offered a great gift — Jesus Christ, whom we believe is God’s son. Because we’ve accepted that gift, a perfect and holy God has hit the ‘delete’ key on all the wrong things we’ve done and the right things we’ve failed to do (like not loving others enough, for example). Serious Christians understand that the gift of Jesus is given out of unfathomable love. And that gift is offered to every person on this planet, no matter who they are, what they’ve done (or not done) and whatever faith they have (or don’t have). That’s why I have more love to give. You can have more love to give, too. Interested? Yes or no, post your thoughts below and let’s have a conversation. We can only truly love when we understand that all love comes from God first. Beautiful and thoughtful reflection, Frank! 25 And there went great multitudes with him and he [Jesus] turned and said unto them, 26 If any man come to me, and hate [miseo!] not his father, and mother, and wife, and children, and brethren, and sisters, yea, and his own life also, he cannot be my disciple. The part you mention (John 3:16-17), although popular, is not a direct citation from Jesus so the above citation from Jesus carries more weight. Thanks for your thoughts. Please look up the word “hyperbole”. I believe it will deal with your points here.